Home » india yoga » learn yoga in india » traditional yoga » yoga courses in india » yoga in india » Why Choosing Kaivalya Yoga School to Learn Yoga will be the Best Decision of Your Life! I can live by every word that is mentioned in the quote above. Life is what we make of it and when we practice getting connected with the divine presence then a magnificent journey begins to unfold which rolls out a series of miracles, leaving us awestruck towards the wonder that life is. Something similar happened to me when I began my journey of Yoga in a small but one of the most spiritual cities in India, based on the lap of The Great Himalayas. Little did I know before the onset of my journey to Rishikesh that my life was going to change forever, and of course for good. 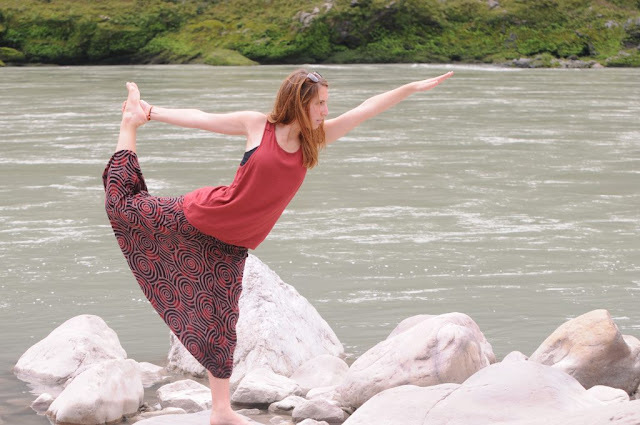 If you are thinking of learning Yoga in India then continue reading this post, I have left a part of my heart in Rishikesh because of the warmth and the love, Kaivalya Yoga School filled my heart with. My heart is brimming with joy and my soul is embracing the glory I experienced at Kaivalya Yoga School. Every teacher pours their heart out while communicating the lessons of Yoga and as they say that “Best teachers teaches from the heart and not from the book”, I can now vouch for the truth this quote beholds. At Kaivalya Yoga School, I understood the real meaning of Yoga and was able to articulate that how yoga helps in changing lives, Yoga is a journey and not merely a form of exercise. I was taught the most traditional form of Yoga which the sages have transformed to the modern day Gurus and the best part about the training was that the teachers at Kaivalya Yoga School are not only willing to share the well of knowledge they are sitting on but are also helping the students in becoming more mindful and enlightened. If you want to leave the world by making it a little better place to live in, then learn Yoga which is not twisted or distorted to suit the modern day scenario but is taught the way it was some 200 years back. If each one of us practices Yoga the way they teach in Kaivalya Yoga School then I am sure we will leave behind a more happy, healthy and peaceful world. Wonderful post..!! Thanks for sharing such a great post with us..! !